We completed our first wireless audio installation in March 2011 and have since become big fans of the stunning quality and simplicity of Sonos. It’s crystal clear sound along with the hugely accessible controller app make it a joy to control and listen to music in every room in your home. We’re official beta testers for the Sonos control app and contribute to it’s development roadmap. We can help plan and design your Sonos installation to ensure the most reliable wireless operation throughout your home and best sound quality. Carefully planning your setup will ensure the best configuration and also that we have everything required to complete your installation efficiently. 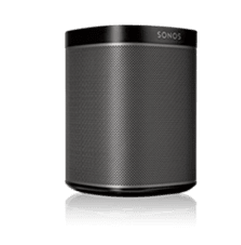 The Sonos Play:1 is the smallest speaker and works beautifully in smaller rooms or grouped with other speakers in larger rooms. It fits neatly in any space and has a surprisingly rich sound despite its size. The Play:1 can be wall mounted. 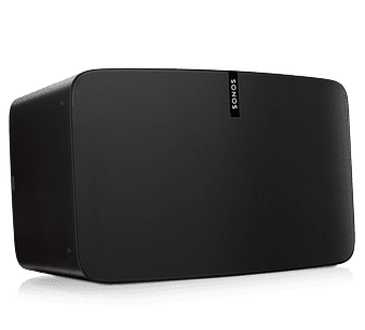 The Sonos Play:3 provides intense and immersive stereo sound with surprisingly deep bass for a speaker its size. It can be stood or wall mounted vertically or horizontally and the sound is always amazing. 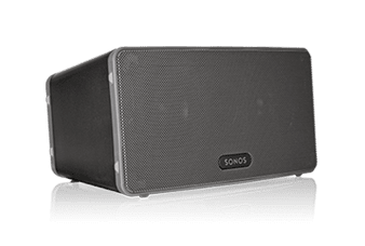 The largest speaker, the Sonos Play:5 fills a large room with pure, brilliant and intense sound with deep bass that packs a punch. Uncompromised sound whether vertical or horizontal, this speaker includes convenient, ultra-responsive top panel touch controls and has a line-in to connect a turntable, phone or other device. 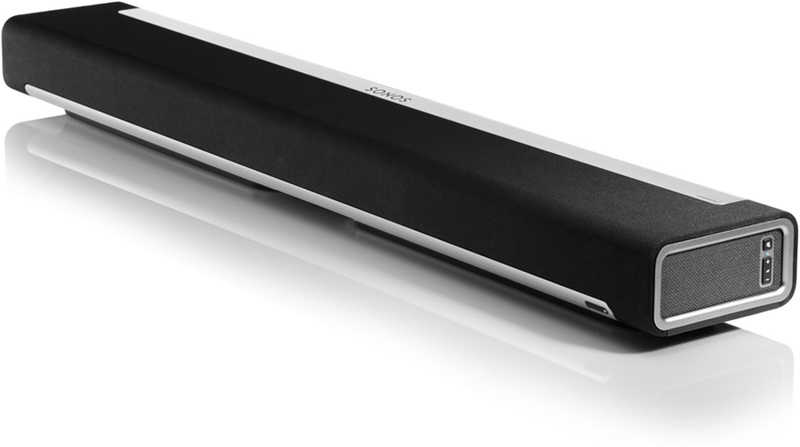 The Playbar adds cinema sound to your TV, syncs wirelessly with a Sonos SUB and two PLAY:1’s for 5.1 surround sound, and streams music too. Works with your existing TV remote and works lying flat or wall-mounted. The Sonos Sub Woofer adds dramatically deeper bass to any Sonos speaker (or amplified component), and boasts zero cabinet buzz or rattle. It’s versatility allows you to place it anywhere, standing up or lying flat and it features a simple one-button setup. The Sonos Connect brings music streaming to the audio equipment you already own. It features analogue, optical and coaxial digital audio outputs, line-in and you can plug-in any device you desire. 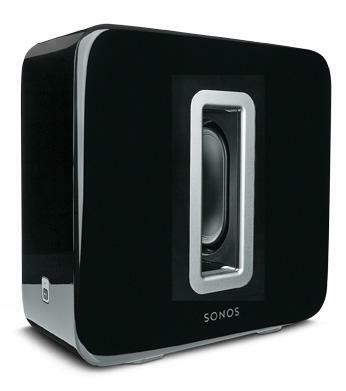 Play your amplified turntable through your Sonos system, and stream your CDs and LPs to Sonos speakers in other rooms. We have experience setting up and problem solving many of the 30+ streaming services which Sonos supports. Read about how Sonos’s lead designer, Mieko Kusano discusses the best location for your Sonos speaker.